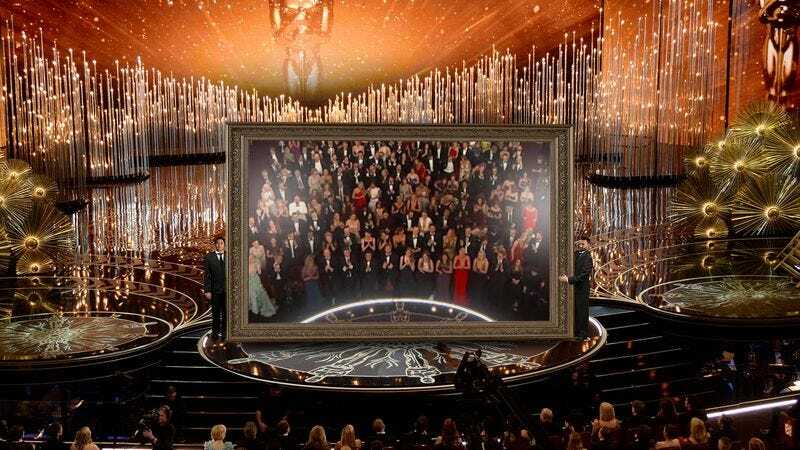 LOS ANGELES—Bringing the entire audience to their feet in thunderous applause, a large mirror wheeled onto the stage Sunday evening at the 89th Academy Awards ceremony reportedly received a resounding six-minute-long standing ovation. “Bravo! Bravo! Marvelous!” actor Kevin Spacey was overheard yelling over hundreds of cheering actors, directors, and producers as the 20-foot-long mirror was carefully positioned directly in front of the Dolby Theatre auditorium, the ovation only growing louder the longer it remained onstage. “Simply incredible! We love you!” At press time, the crowd had resumed their seats immediately after the mirror was taken offstage, and Best Foreign Language Film award presenter Gael García Bernal was introduced to a smattering of polite applause.